• Children's Movies contains fun and educational movies for kids from 0 to 9 years old. • An accurate selection of educative videos with values created by parents and teachers for the family and the school. • Download the videos and watch them off-line anywhere and anytime. • A good tool for sharing a wonderful time with your kids! • The app provides you free access to some complete movies. Where can you use Children's Movies app? • At home! Use Children’s Movies videos for your children’s bedtimes, a far better experience than TV! • On a trip! Children’s Movies app is a good tool to help your kids enjoy your commutes. • At school! 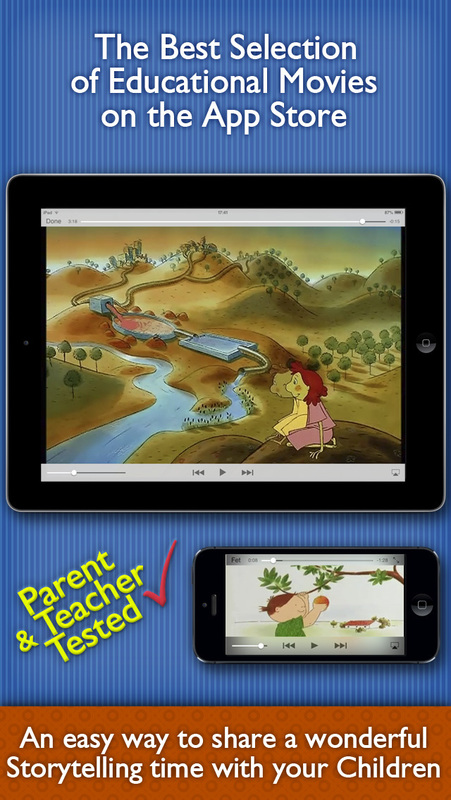 Parents and teachers can use Children’s Movies at school or preschool. • In the car! Your kid will have fun trips with the family by watching Children’s Movies. The app allows you to watch offline the movies you have downloaded before. 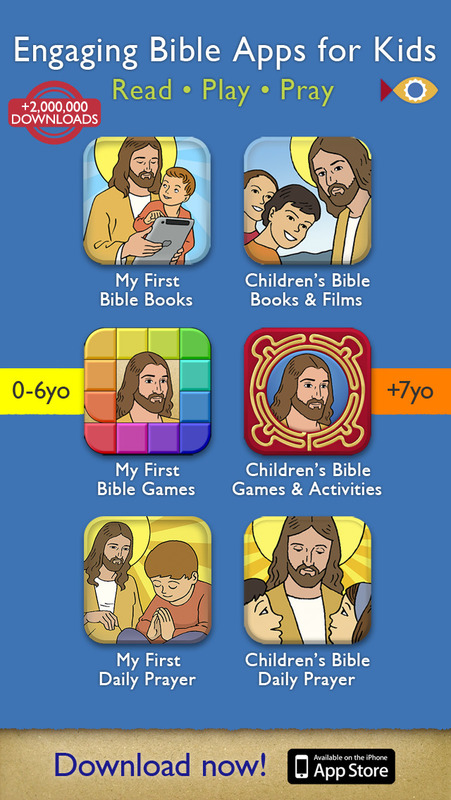 The app provides a safe experience for your kids and gives you complete control over the contents. Children's Movies does neither change the contents nor access to YouTube free movies. It contains a curated selection of the best educational movies in the best quality resolution of image and sound. 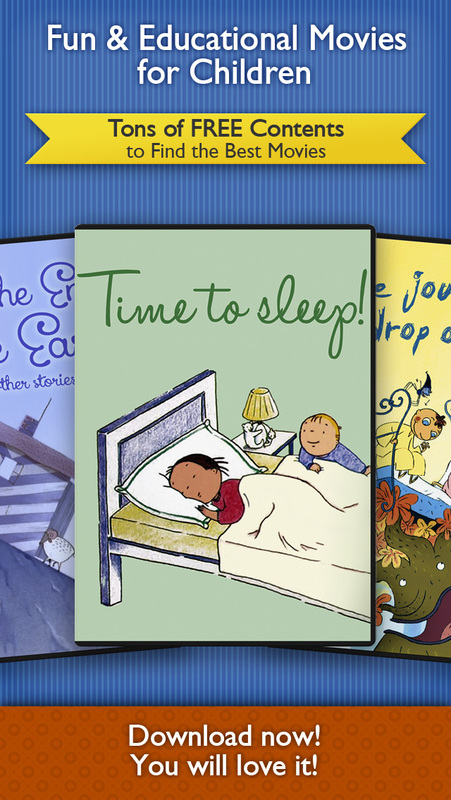 These titles contain 39 short movies to help your preschool children to improve their habits. For toddlers who are beginning to ask questions. For parents who enjoy speaking with them. The titles contain 26 movies for all boys and girls who want to learn more about the environment, the animals and to love and respect nature. The best animated short movies for your kids. With a selection of the best stories of the 1001 nights. And the short clips with Ot the wizard cartoons! • Children's Movies is a free universal app for iPad, iPhone and iPod touch. • App and contents in 5 languages: English, French, Spanish, Italian and Catalan. • All movies can be previewed for free and bought within the app, with the in-app purchase Apple system. • All contents you buy in one device can be used in other devices with the same Apple ID. Just restore the purchases on each one. Please note that since we cannot reply on the App Store, email us if you need any assistance. By the way, App Store reviews are very helpful to us. If you think Children’s Movies is worthy, would you mind taking a moment to write a nice review? We’d greatly appreciate it. Thanks for using Children’s Movies! • Please note that we cannot reply to reviews and feedback here on the App Store, so please use the support email contact@childrentales.org if you need assistance.